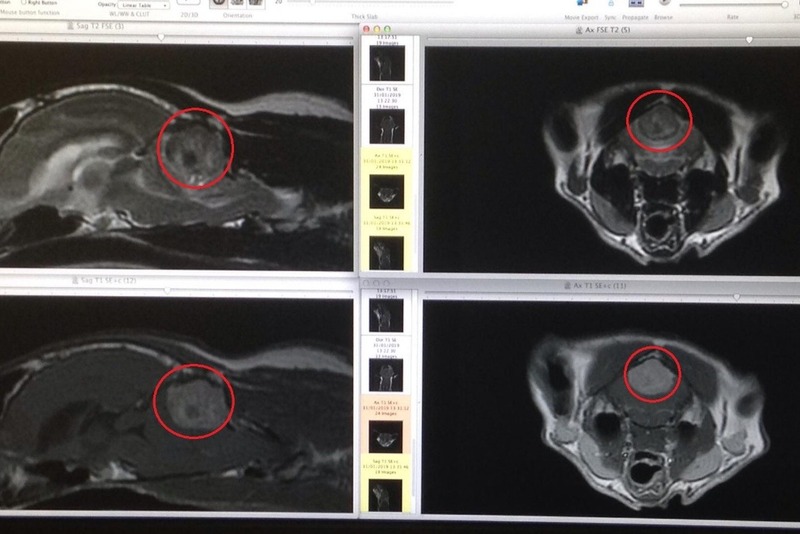 Astryd has been diagnosed with a brain tumor and has been given pretty good odds of recovery and her quality of life returning to normal should the mass be removed (I have included a photo of the display of the MRI and highlighted the mass with a red circle). The total cost of the treatment is going to be around £6000. The reason I have asked for the sum of £800 is to prevent us from taking on any debt to cover the costs as we could not afford the repayments at this time and the need for treatment is urgent. 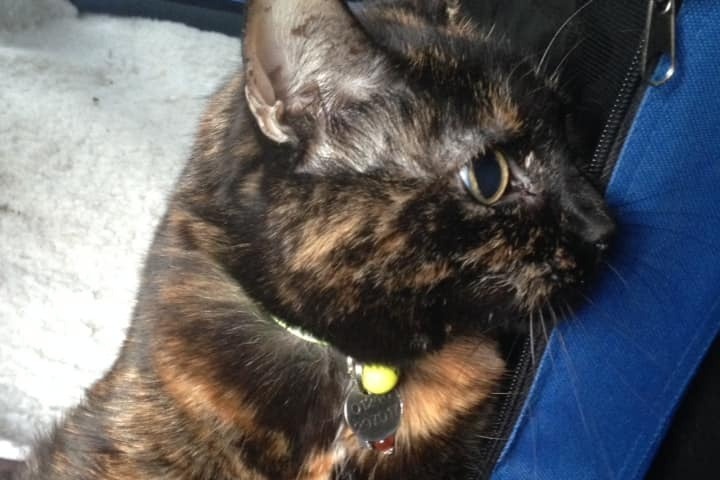 Estimates from the vet give Astryd three weeks before surgery must be carried out to reduce the risks significantly. The proximity of the growth to a blood vessel only enforces the urgency. Any excess funding will help with post operative rehabilitation. Astryd is a loving girl full of sass, compassion and an equal degree of wit and stubbornness. The tumor affects her balance and carries a risk of her passing suddenly, without warning due to the area of the brain that the tumor is pressing against. £4000 of the costs has been covered by my fiance, using up all of her savings. She doesn't wok due to her condition and my modest income covers household expenses and doesn't leave room for much else without careful planning. I have no savings myself due being on a low income for most of my adult life. This has changed but not significantly or soon enough to accrue any savings. I do however have assets I am parting with to make up as much of the gap as possible. I'm due to inherit a considerable sum from my late grandmother (whom passed 04/01/18) and due to the reasons I am told by the executor, I will not be seeing a penny for "some considerable time". Astryd doesn't have the luxury of time. I pledge to refund all donations when I get my inheritance. Or if you chooses, instead of a refunding you, I will donate the money to the Blue Cross. In addition, I will also donate £800 of the inheritance to the Blue Cross. Donors will be kept up to date via email if they wish as well as updates posted on here. Thank your for taking the time to read and we hope you consider donating. Just bringing you another update! Astryd has been playing and desperate to get outside. She's allowed out with some supervision and so far seems to have appreciated the fresh air. 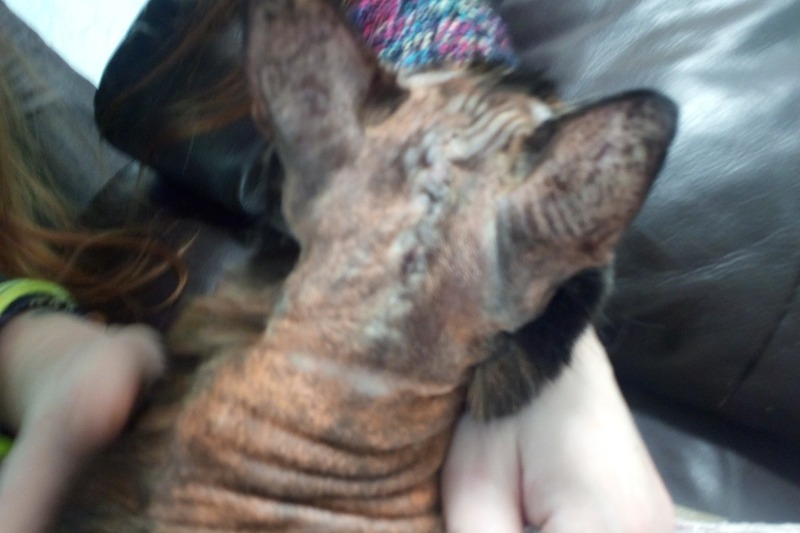 We have a follow up appointment on Monday so the vets get to see her progress. Other than being a bit of a bugger trying to get her medication down and being far less wobbly, Astryd seems to back to her old self. She's home! We picked her up yesterday and I wish I got her reaction to entering the house on film! She had to inspect every inch on the place to make sure everything was in order. I've left the campaign open as I've been informed that a few friends wish to donate. If you've already donated please do not feel obligated to do so again. Your generosity and compassion has us truly grateful. As I'm sure you're aware, I have pledged to refund every donation or pass them on to the Blue Cross as well as a donation from myself when I get my inheritance. 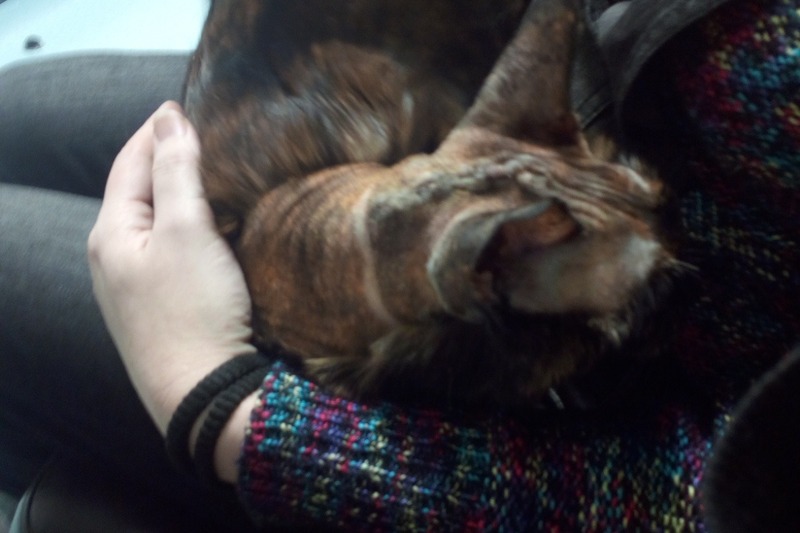 Got a couple of update pictures of Astryd enjoying some cuddles. Gotta admit, I was expecting more of a Fryer Tuck kind of do rather than an sort of reverse SYL era Devin Townsend. The vets are astonished at her recovery and she'll be home tomorrow! We got to visit her today and aside from a bit of wobbliness (and the signs of surgery) you'd think there was nothing wrong with her. Astryd went in for her op Friday and since then the operation has been a complete success with no sign of the tumor and could be home tomorrow! Here's the not so great news it looks like we over estimated our ability to cover some of the post-operative costs. While the total cost of the operation and scans has been capped at £6500, post operative care (checkups and medication) costs aren't included. While we're not naive enough to think that was the case, we didn't expect things to be THIS steep. As a result I've re-opened donations. I feel like a scumbag for doing so but with some steep living costs around the corner as well as vet costs being that extra bit above initial projections I'm at a loss as to what our other options are. However, if you have some suggestions my ears are wide open! P.S. Pictures of Astryd coming soon!! !